Fake news about Lithuania's Defense Minister Raimundas Karoblis allegedly recognizing Crimea as part of Russia has been published online in the Russian, Ukrainian and English languages. "This is yet another attempt to spread downright lies, it is an attempt to set partners against each other and undermine the society's trust in Lithuania's support to Ukraine and discredit Lithuania on the international arena," Karoblis said in a comment to BNS Lithuania via his spokeswoman. He emphasized that cooperation with Ukraine had been one of Lithuania's foreign and security policy priorities for a long time and would remain a priority in the future. "Lithuania supports Ukraine's independence and territorial integrity, it has always supported Ukraine's objectives of European and Euro-Atlantic integration and would continue the support," said the minister. The fake news published on a few websites over the weekend also suggest that the minister allegedly accused Ukraine of using the Crimea situation to draw the US attention from the threats the Baltic state are faced with. 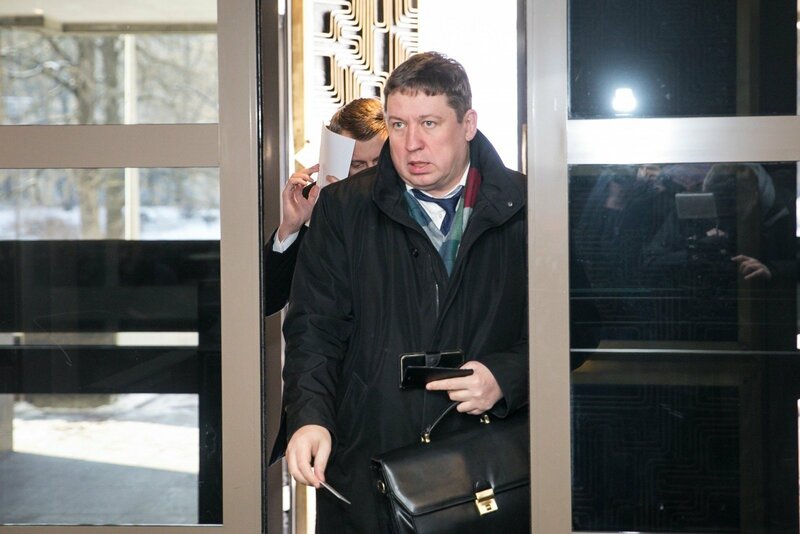 According to the report, Karoblis stated the position at the US-Lithuania Defense Forum in late February and shocked the reporters, however, the minister was not even present at the event. The Defense Ministry said the fake news were first of all intended for Russian and Ukrainian audiences, as it was placed on Russian and Ukrainian portals, featuring a video with Russian subtitles. An English translation of the fake message has also been published. The English-language message also features a brief video of Karoblis saying a few sentences in Lithuanian about Ukrainian forces. Karoblis has also been targeted by fake news earlier this year: tv3.lt news portal was broken into in January to plant a fake news about Karoblis allegedly harassed Ridas Jasiulionis, a journalist at the Žinių Radijas radio station, and admitted being a gay. The message was accompanied by a letter with malware. Lithuania's intelligence institutions last year warned about Russia's attempts to discredit NATO forces in Lithuania and trigger public resistance to deployment of troops by way of information and cyber attacks, spread of misleading content and provocative information. Grybauskaitė and Skvernelis become a target of trolls: why were Mongolians insulted?